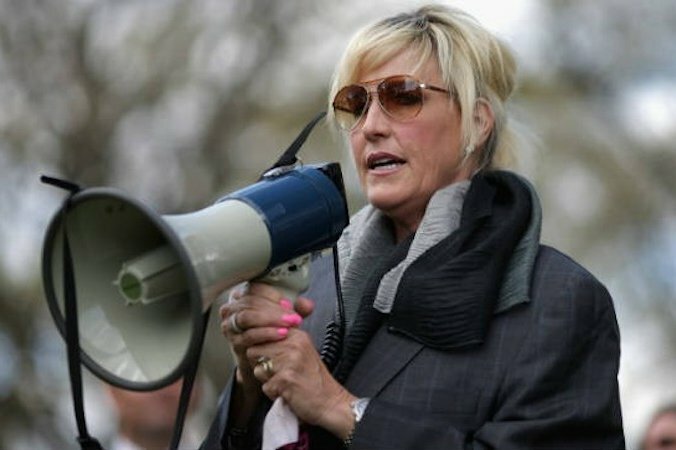 Water quality activist Erin Brockovich is now involved in investigation Moorestown's water supply. Activist Erin Brockovich, working with a water quality expert and a law firm, has agreed to investigate issues with Moorestown's water supplies, according to the Burlington County Times. A group of citizens, Moorestown Water Group, contacted Brockovich, known for her advocacy for areas affected by contaminated water. Moorestown has found several chemicals in its water supply and the citizen's group has charged officials with foot-dragging. The most troubling is 1,2,3-tricholoropane, a chemical typically found at industrial and hazardous waste sites. In 2013, the municipality discovered 1,2,3-trichloropane, which is also known as 1,2,3-TCP, in two wells as part of an EPA program aimed at monitoring unregulated contaminants, according to the Burlington newspaper. The source is unknown, but it has also shown up in smaller amounts in three wells that are part of nearby Maple Shade's public water supply. The discovery resulted in the shutdown of two Moorestown wells in 2014. The township has spent millions since buying water from New Jersey American Water to make up for the lost supply. Though labeled a "likely carcinogen" by the U.S. Environmental Protection Agency, it is unregulated by the state and federal authorities. Other contaminants such as trichloroethylene and radium have also been detected. Some residents have complained recently about discolored water coming from their taps. The town's mayor, Phil Garwood, told the Burlington newspaper that he suspects politics are at play given that the announcement of Brockovich's involvement comes just before a local election. One of the citizen group members, Kati Angelini, is running as a Democrat against the Garwood and other Republicans. Garwood did not immediately respond to a request for comment from PhillyVoice.com. "I welcome Erin Brockovich and her team to come in and look at Moorestown's water and what the council and this township have been doing to ensure high-quality water for the township," Garwood said. "We've upgraded it to the highest standards." Angelini told the newspaper: "I guess they deemed it serious enough, much to the dismay of our majority (Township) Council, that it's something that's really serious and it's a health risk, and they're working on seeing what they can do to help us out." Angelini on Wednesday said the Moorestown Water Group and its members "are in no way paying for Erin Brockovich and her team to do investigative work." "We ... started reaching out to them early this year and have been persistently sending them information about the water issues Moorestown residents faced. That was long before I decided to run for town council. "The reason I decided to run for council was because our local elected officials were failing us when dealing with the water, and I wanted to try to get on and make a difference," she said. To read the entire Burlington County Times account, click here.